Written by Bob Cassling, with contributions from Tom M.
McCollum Ford Ranch was located in eastern Washington state, near the Idaho border. Dishman is a suburb of Spokane. 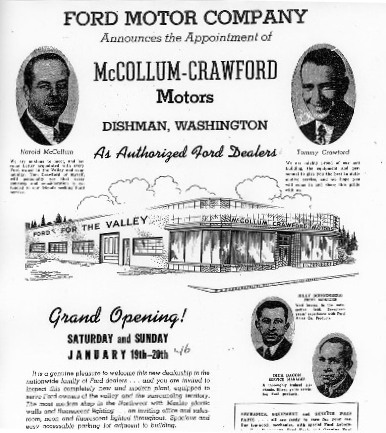 McCollum-Crawford Motors was located on a 10 acre lot in Dishman. As Tommy was an avid horseman and thoroughbred racer (racing against the local Chevrolet dealer’s horses), it was only natural that the dealership shared this land with his horses. 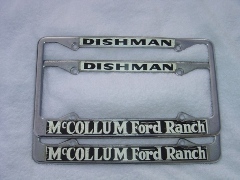 This led to an informal name change to McCollum Ford Ranch, which stood for many years. 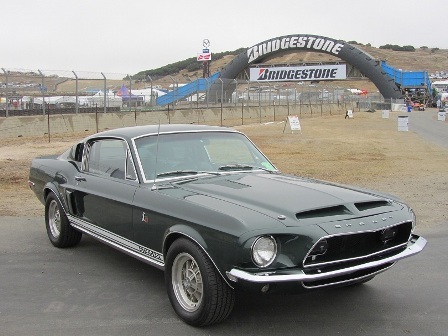 During the 1960's, McCollum Ford Ranch was the primary Shelby dealer for the Eastern Washington region. 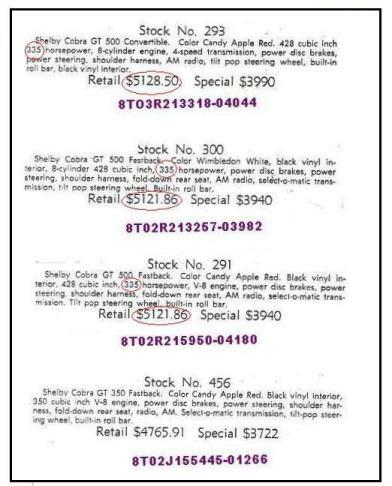 It looks like McCollum started selling Shelbys in 1967. No record of the earlier cars could be found. This penny is an interesting promotional item. Keep it for good luck and you will never go broke. This newspaper ad appeared in the Spokane paper in 1969. The dealership sold seventeen 1968 Shelbys during the model year. Six of these cars were delivered to McCollum in late November 1968. Most cars sold were big blocks and about half of the cars are accounted for in the 1997 Shelby American World Registry. Four cars appear in the advertisement above. I have actually identified the cars in the above advertisement by their individual serial numbers! 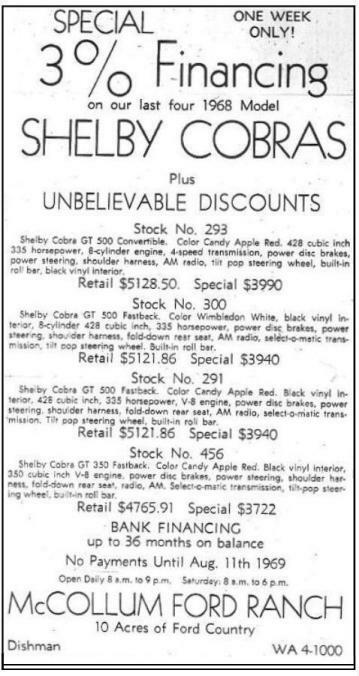 The advertisment says "GT500" but after carefully studying the list of cars delivered to McCollum and the dates of their deliveries, there is little doubt, the cars are actually GT500KRs. The horse power ratings and retail prices also support this theory. The serial numbers have been added above. Bob's car was originally sent to McCollum Ford. 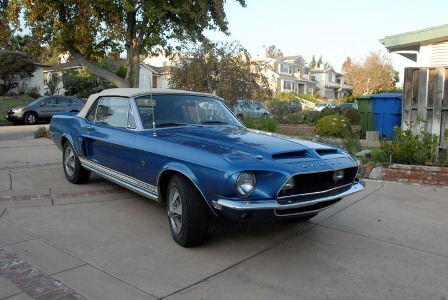 It was one of only two GT500 KR convertibles (the other appears in the ad above). Six GT500 KRs were delivered to the dealership on the same day. Bob noticed his antenna was mounted on the front fender. This is not unusual, although it was intended to be on the rear quarter panel. Antennas were in the trunk during shipping. This prevented them from getting broken off. The dealership was responsible for mounting the antenna. I suspect we will find several of the other McCollum cars also have front mounted antennas. Tom's car is # 2380. As you can see, it also sports the front mount antenna. 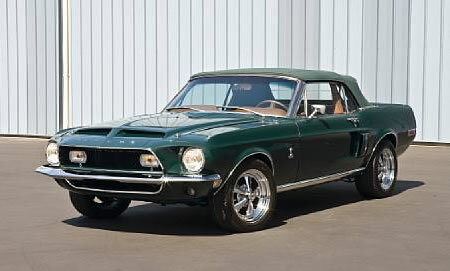 This Highland Green GT500 KR was shipped to McCollum in June of 1968 and now resides in California. One of the other more interesting cars to come from McCollum Ford was serial number 1975. It was later restored for actor, Bruce Willis. McCollum continued to sell Shelbys through the 1969/70 model year. 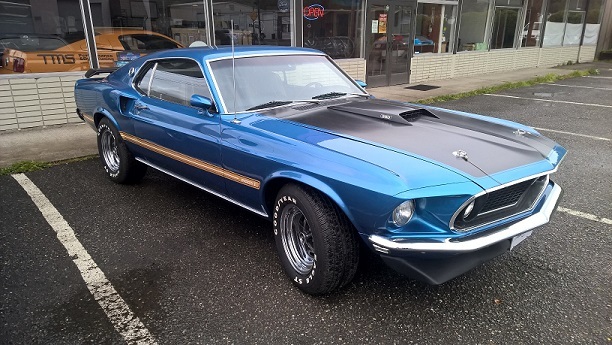 Tom sent along a picture of his 1969 Mach 1. It has a 390 engine, a 4 speed transmission, a white interior and a factory AM/FM radio. It was sold new at McCollum in June of 1969. Today the dealership has been renamed Gus Johnson Ford. Gus Johnson has served as president since 1992 and officially purchased the dealership in 1999. The dealership remains at its original 8300 E Sprague address. They still are selling high performance Mustangs to the Washington state area. So if you ever in Spokane, stop by and visit.